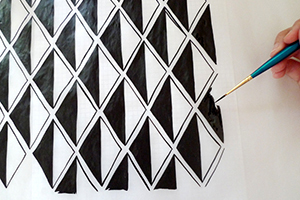 This is the last of the linen fabric I’ll be printing for the 2011/2012 line of patterned textiles. 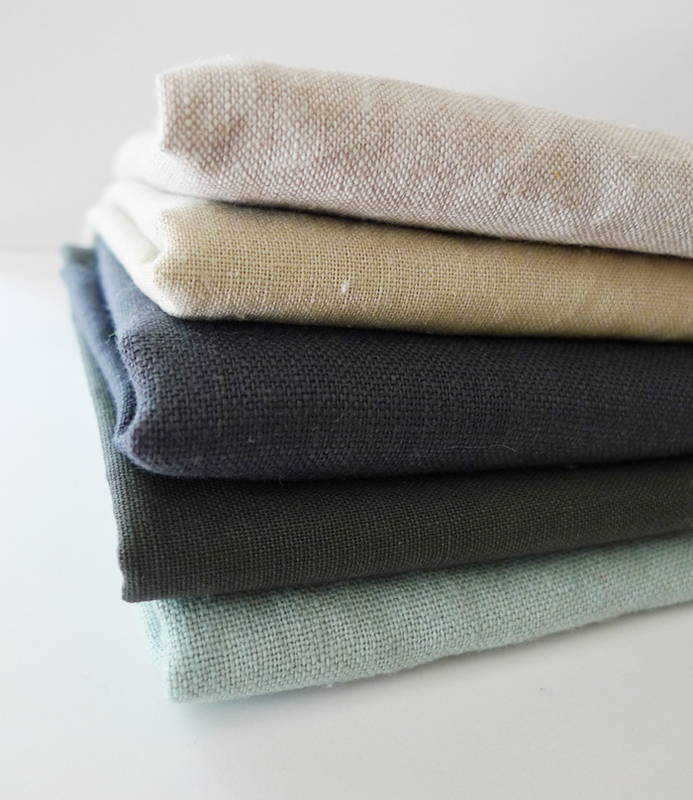 Sad to see some of these colors go, but excited to start printing on the next batch of colorful linen. Hoping to have these last ones printed this week, I’ll be sure to post photos of the finished products. I love linen for so many reasons (durability, how it gets softer with age…) but the beauty of woven linen fabric always makes me swoon at this magnification. So rustic, yet comfortable at the same time. It’s a joy to work with such wonderful materials. To dye, or not to dye (fabrics). 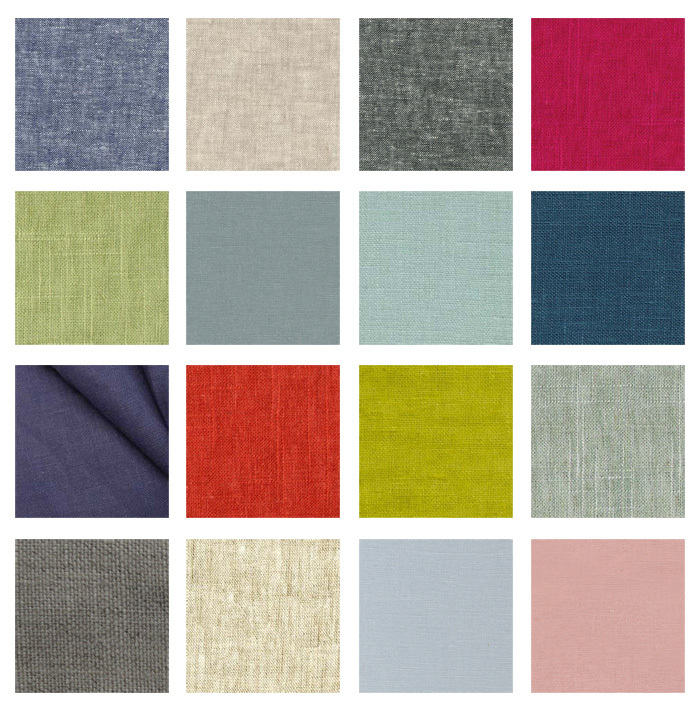 Today I’m compiling swatches of potential fabrics I’ll be using in my next round of textiles, here’s a little peek of the fabrics I’m fond of right now. I’ll have to narrow it down considerably, since I try to stick with just four or five colors for my work, which helps me to keep the focus on the patterns. I’m really loving the play between the brights and the pastels, but I keep getting into a rut because I can’t find a really bright tomato red. Everything I find is too ruby toned or leaning more towards carrot, which has me thinking that I may start hand dying fabric in small batches… as if I don’t have enough to do already. Anyone have experience dying fabrics? I’ve done it before, but I’m sure there are lots of tips and tricks I’m unfamiliar with. 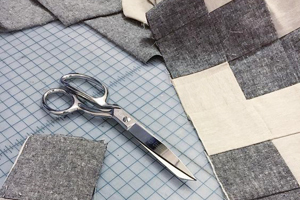 Say hello on Twitter if you want to share ideas and resources about dying textiles, I’d love to hear them! I have only been living in Los Angeles for a little less than two years, so I still feel like a newbie in a lot of ways. 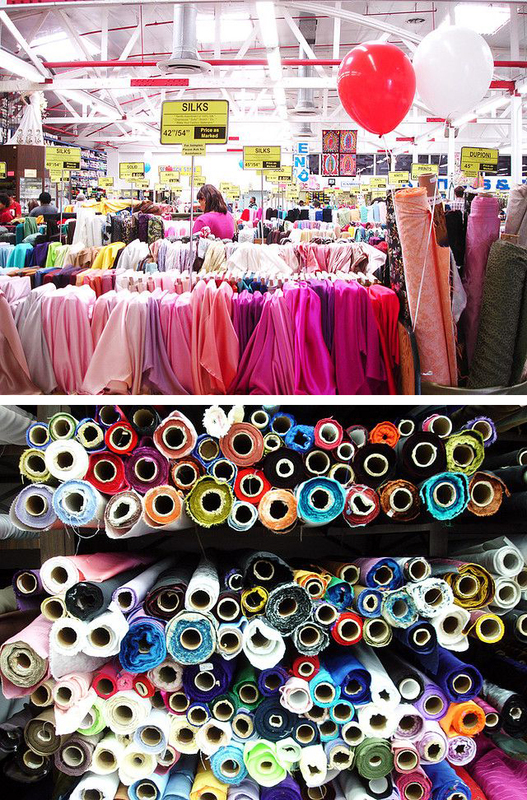 Back in Portland (where I grew up, and lived before I moved to LA), I had a handful of favorite fabric stores that I’d frequent on a regular basis. After moving to LA, it has taken me quite a while to find my favorite spots, and I still feel like I’ve barely scratched the surface of what LA has to offer. 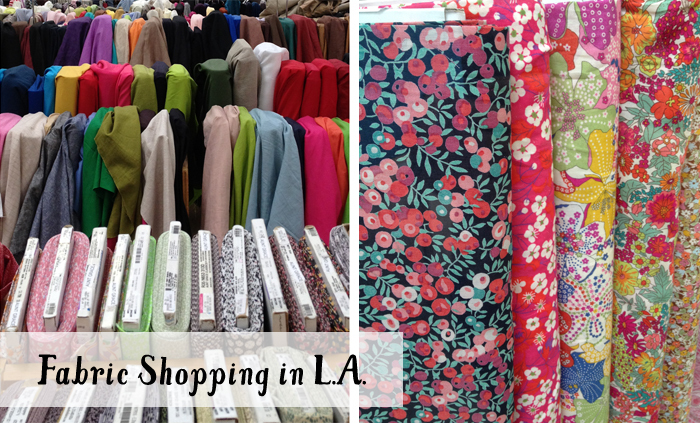 A couple weeks ago, Keiko of Small Adventure invited me to go explore the fabric district in downtown LA, and I gladly said yes! Michael Levine, one of my favorite fabric shops is located down there, but Keiko showed me around to a couple other of her favorite spots as well. I have to say, though, that Michael Levine is still my favorite in the fabric district. I’ll always stop in just to gawk at the beautiful Liberty of London printed fabrics they keep in a display case… so beautiful, but so expensive. I grabbed a few swatches while I was shopping – I’m trying to develop an idea of my color palette for my newer designs, excited to branch out into some bright colors (maybe even a neon!) 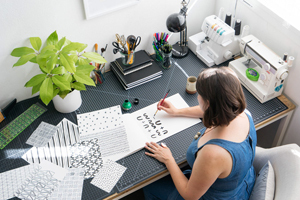 If you’re an Los Angeles local, let me know your fabric store recommendations over on Twitter, I’m @cottonandflax!